Initially progressive, the procedure has outlived its usefulness, officials concede. China’s National People’s Congress (NPC) recently voted to abolish the administrative punishment system known as “laojiao” or re-education through labor (RETL). The vote for approval came at the earlier recommendation of the NPC’s Standing Committee. A draft of the proposal had been submitted to the Standing Committee for consideration by the State Council after the close of the Third Plenary Session of the 18th Chinese Communist Party’s Central Committee last November. Approval by the NPC is necessary in order for the proposal to have the legal standing to be implemented. In the Chinese criminal justice system, a person may be charged with either a crime under the Criminal Code; a violation of an administrative regulation or a special violation resulting in RETL. A public security bureau (PSB) is generally the lead actor in determining how a person is charged. If a person is charged with a crime, the PSB must forward the case to the procuratorate for resolution of the case which most likely will occur at court before a judge. If a person is charged with a violation, the administrative powers granted to the PSB, allow it to determine a punishment without input from a judge or procuratorate. The maximum penalty for violation of an administrative regulation is 15 days in administrative detention. The only way a case may be reviewed under an administrative law proceeding brought either before the next highest level of PSB or the city/county/provincial government that oversees the PSB who issued the penalty is when a person charged with a violation decides to appeal the penalty. If, for instance, a city PSB issued the administrative penalty, the accused could appeal to either the county PSB or the county executive. However, because the time needed to file, schedule and argue an appeal will, in most cases, take longer than 15 days, a defendant will only appeal if the penalty was simply a fine. While what constitutes a “crime” is clearly set out in China’s Criminal Code, according to several criminal attorneys I’ve interviewed, what constitutes an administrative violation is not very specific and is subject to the absolute discretion of the charging PSB official. Even more confusing are the special cases of RETL. RETL was first officially established in 1957 and later amended in 1979. It began as an administrative substitute for the criminal court system. According to several legal experts, RETL was initially an effective alternative to incarceration. In those days, just after the founding of the People’s Republic of China, there were few if any criminal procedures in place to determine how to charge, investigate and punish minor or petty crimes. Most decisions on punishment were made by a “special committee” of party leaders. Some crimes such as “possession of illicit drugs” were considered minor violations because the possessor was seen both as a violator and a victim-addict himself. Moreover, since China was a poor, mainly agricultural society, the idea of incarcerating perpetrators of minor violations and petty crimes, was considered a waste of a valuable labor resource. Most believed it would be better to punish such violators by putting them to work in a factory or working the land on a farm. Under this system, not only could violators be controlled and rehabilitated, but more importantly they would not be a “drag” on society. Furthermore, violators could give back and help the community rather than be shunned by society. Unfortunately, that originally progressive idea of rehabilitation has changed in modern times. Because there was no centralized decision-making body responsible for regulating RETL, authority to impose RETL was later given to individual PSB offices. The result has been the creation of a patchwork of RETL systems with no consistent procedures except that PSB officials were given the ultimate power to determine when a person can be detained. Now, for cases that the PSB wants full control over without “interference” from a procuratorate or judge, RETL was the ultimate weapon. RETL is purely a PSB decision and is not subject to review by the courts, lawyers or the procuratorate. Since there have been no constitutional defects found in its use, if sentenced to RETL, for all intents and purposes, you have no rights to appeal the punishment. You are, as one lawyer said to me, “finished.” Moreover, the PSB can sentence an individual for up to three years in RETL without providing an explanation as to why three years was chosen over one or two. Significantly, those detained under RETL are housed in facilities outside the jurisdiction of the general prison system. No one that I asked really understands how a decision for RETL gets made but several suggested that the original “special committee” model of the past is most likely the method. But besides PSB officials, no one I spoke to knows who else might be on these committees. Furthermore, everyone said that for all the complaints about the RETL, people very high up must feel that it still serves a useful purpose or else it would have been abolished years ago. Apparently, whatever useful purpose RETL may have had, that is now no longer the case. 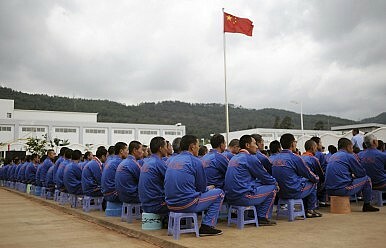 According to the China Daily, during this week’s hearings on the draft proposal to abolish RETL, members of the Standing Committee stated that although they acknowledged the usefulness of RETL “in safeguarding public security, maintaining social stability and correcting offenders,” it has nevertheless become “obsolete” in a modern Chinese society based on the rule of law. Marcel A. Green is an attorney and legal researcher specializing in American and Chinese Criminal Law.